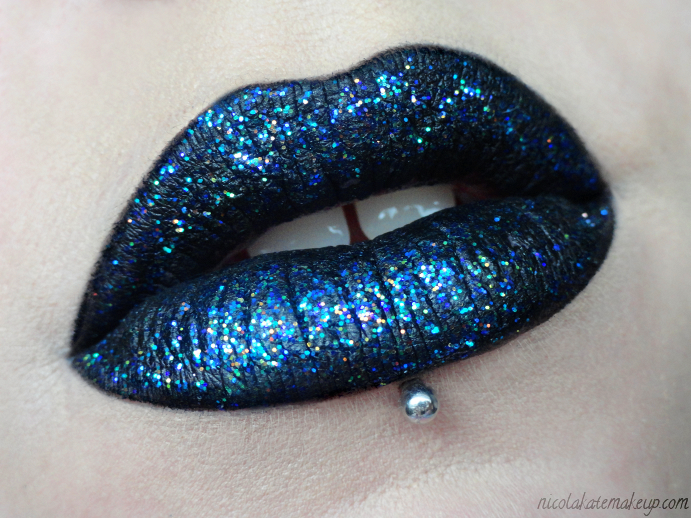 One of my most favourite lip looks to have fun with is the glitter lip. Simple and easy but has HUGE impact. And the combinations are endless! Here's my most recent glitter lip using one of my very favourite glitter eyeliners from Urban Decay. I used a matte gel eyeliner to create this as it was for photo purposes only, but a matte black liquid lipstick would be much more preferable and give the exact same effect if you were going to wear something like this out. The gel eyeliner is NOT long-wearing on the lips!